Praise for ‘Protect Yourself With Your Snubnose Revolver’! At the risk of sounding immodest, the reviews for my latest book “Protect Yourself With Your Snubnose Revolver” are in, and they’re incredibly good — an astounding 84% are 5-star reviews! I’ll let you go read the rest of them for yourself! Hey Buddy!, I found this information for you: "Praise for ‘Protect Yourself With Your Snubnose Revolver’!". 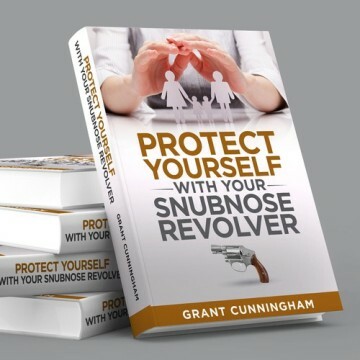 Here is the website link: http://www.grantcunningham.com/2017/04/praise-protect-snubnose-revolver/. Thank you.